Note: this is a recurring post, and large chunks of the older material is recycled. I’ve updated the research for older players as needed (mostly 2015 and 2014’s players), getting 2016 season updates for everyone on this list still playing, plus 2017 assignments and whether or not htey’ve . See here for the 2015 version, 2014’s version, 2013’s version, and 2012’s version of this post, though honestly everything from those posts that’s still relevant is updated here. It is nearly impossible for a team to field an entire year’s worth of players who will not fall into this “Oblivion” category. Every MLB team has guys playing out the string or near retirement, and every MLB team calls up guys through out the season from the minors who eventually show themselves as unable to compete on the MLB level and who never make it back. So a 0% oblivion measure isn’t a goal. The best this team has done is 4 players (the 2013 team). I don’t think the 2015 team will get that low, and I’m not sure the 2016 team will get that low either. 2016: 19 position, 24 pitchers, 43 total. 5/43 = 11.6% candidate ratio right now. 2015: 20 position, 24 pitcher, 44 total. 7/44 = 15.9% candidate ratio right now. Total players used: 19 position players, 24 pitchers, 43 total. 5/43 = 11.6% candidate ratio right now. Candidates: They are listed in the order of their odds of staying on this list: highest to lowest odds that they’re done playing. Jonathan Papelbon: hard to believe he’s on this list. But the facts remain; after his release mid-2016, not only did he not sign on for the rest of the season … he has yet to sign on with anyone for 2017. Is it possible he’s being forced into retirement? I think he still holds value as a middle reliever for someone, but it is a possibility that his “baggage” is preventing teams from signing him. Or perhaps he’s instructed his agent to hold out for closing jobs only. Nonetheless, of all the players on this list, right now I give Papelbon the highest probability of being done with baseball and staying on this list. Sean Burnett: given a quick look late in 2016, signed MLFA deal with Philadelphia for 2017 but failed to make their opening day Roster. Active on Philly’s AAA team all of 2017, but no appearances. Might be done. Spencer Kieboom: had a “Moonlight Graham” esque 2016 debut; one at bat, a walk, then an off-season DFA. He remains in the organization but once you’re off that 40-man, its tough to get back on. I still think he’s 4th on the realistic catcher depth chart and may get called back up if injuries persist, but there is another catcher (Raudy Read) on the 40-man which complicates things for Kieboom. At least he got his one AB in the majors … which gives him access to the MLB players health benefit plan for life. Clint Robinson: long-time minor league veteran made the team in 2015 and had a break-out season, but struggled badly in 2016, prompting the team to sign Adam Lind to a guaranteed deal, all but eliminating Robinson’s chances from making the roster. Robinson was waived towards the end of Spring Training as expected, cleared waivers and is at Syracuse. I give him a decent chance of getting called back up if Lind or Ryan Zimmerman gets hurt. Rafael Martin: Just a handful of Sept 2016 innings after a not-very-impressive 2016 in Syracuse, and was DFA’d early in 2017; he was outrighted and may struggle to return to the majors. Names removed since Apr 2017 publication: Espinosa, Revere, Belisle, Melancon, Rzepczynski, all of whom signed MLB deals and appeared in the first week of 2017 for new teams. 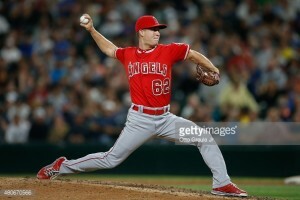 Petit, who made the 2017 Angels as an NRI. Difo and Taylor for making the Nats 2017 opening day roster and getting appearances. Mat Latos removed when Toronto added him and called him up in April 2017, shocking me; I figured Latos was done. Technically Ross’ first start removed him from this list. Matt den Dekker got removed when Detroit recalled him for a few games in June 2017. Wilson Ramos indeed returned from his injury and began starting for Tampa. Brian Goodwin not only returned to the majors but got an extended run of starts with Werth’s 2017 foot injury. Severino got recalled during an outfielder crunch in July 2017. A.J. Cole got a spot-start in May 2017. Relievers Gott and Grace both got re-calls, with Grace impressing and Gott not. Reynaldo Lopez removed upon his 8/11/17 call-up for CWS. Giolito was called up a week later. Outlook for remaining 2016 Oblivion candidates: Of the 5 candidates, I don’t see an easy path forward for any of them. Two are older guys probably forced out of the game, the other three marginal prospects who, now that they’re off the 40-man roster, face long odds of getting back on. 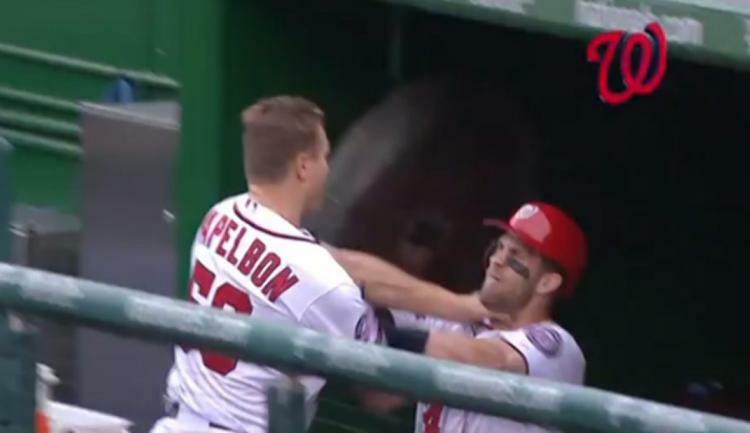 Favorite Nats to Oblivion Story: Jonathan Papelbon. (ok maybe not “favorite” but certainly most interesting…). What a whirlwind career he had with the Nats: he was already controversial even before arriving, then essentially ended the productive career of Drew Storen, who he replaced (as a condition of his accepting the trade) as closer upon his arrival. Two months into his tenure here, he took it upon himself to choke teammate Bryce Harper as Harper and the rest of the team disappointingly played out the string of the 2015 season. These two buried the hatchet over the off-season, and everyone looked happy entering 2016 … but a 6.00 ERA in June and an even worse ERA in July sealed Papelbon’s fate; the team paid heavily to acquire Mark Melancon for the stretch run and Papelbon was released a couple weeks later. Quite the Nats tenure for the combustible Papelbon. Side note: for reasons beyond explanation, the Papelbon’s decided to buy a $2.9M house in Alexandria just after his acquisition …. which was only assessed at half their purchase price. I wonder if they ever even moved in? Total players used: 20 position, 24 pitcher, 44 total. 7/44 = 15.9% candidate ratio right now. Dan Uggla: The Nats were probably his last stand chance in the majors; hit just .183 and was given just 17 ABs the last two months of the 2015 season. Never signed for 2016 and seems to be retired. Reed Johnson: Got picked back up on a MLFA deal by Washington for 2016 season, but did not make the team out of spring and was released on 4/2/16. He did not pick up with anyone for 2016 and at age 39 may be retired. Casey Janssen: Signed a ML deal with San Diego for 2016 but was released in late Spring Training. Picked up with Boston in June of 2016, pitched a bit for their Short-A and AAA teams then was released in early August 2016. Did not pick up with a MLB team for 2017. Signed for a Mexican league team, pitched in 15 games and was released. Might be the end of the line for the 35-yr old. Taylor Jordan: After brief appearances in 2015, started 2016 in AAA but got hurt in June of 2016, he had a second TJ surgery … and then was released by the club on 6/28/16 to correspond to the Giolito contract addition. Man, that seems kind of cold to release a guy just after surgery, but his odds of making it back to the majors just took a significant hit. As of 2017 has not re-signed anywhere and seems a long-shot to do so, with little major league track record and two arm injuries. Likely done. David Carpenter: shoulder injury, DFA’d, elected free agency and quickly signed a ML deal with Atlanta for 2016. However he was cut after just a handful of spring training games; maybe his injury is worse than we thought. He then bounced from Tampa to the Angels system for 2016, and then signed back with Tampa as a MLFA/NRI for 2017, but was cut on 4/4/17. Signed w/ Arizona in July 2017 and posted an ERA north of 9.00 for AA/AAA. Taylor Hill: Hill was DFA’d to make room for January 2016 signings and was outrighted to AAA, so he faces longer odds to get back to the majors at this point. If it comes to it, would you rather go with Hill or the likes of Voth or Giolito at this point? Hill finished out the year for AAA Syracuse with a 4.60 ERA in 27 starts, but I’d have to say he’s just an innings-eater/org guy now. Still with the team for 2017 but has been passed on the depth chart by several guys (Cole, Voth, Fedde) and faces long odds of a return to the majors with this organization. Started 2017 badly, demoted to AA. Aaron Barrett: the odds of him turning into Cole Kimball seems small; an elbow is not a shoulder. But until he recovers from his 2015 surgery, he’s an Oblivion candidate. He’ll sit on the 60-day D/L for most of 2016. In June of 2016, he had a major set-back in his TJ recovery, fracturing his elbow. This will require another visit to Dr. James Andrews and another surgery. The Nats outrighted him off the 40-man after the 2016 season and he elected free agency. He has re-signed with the Nats for 2017 and starts the year on the AAA D/L. Names recently removed: Fister (signed a $7M deal with Houston for 2016). Thornton (MLFA deal with San Diego and made 25-man roster). Burriss: signed MLFA with Philly and lead-off against the Nats in their first visit to Philadelphia in the new season. Added Stammen when he failed to make Cleveland’s 25-man roster in 2016. Removed Solis when he got called up to cover for injury to Belisle. Removed Martin when he got called up briefly on 6/27/16. Removed de los Santos when he got waived, picked up by Cincinnati and appeared for them mid Sept 2016. Removed all our 2015 prospect-types who all got 2016 call-ups: Turner, Difo, Severino, Grace, Cole. Stammen removed after he made the 2017 San Diego Padres out of spring training. Tyler Moore made the 2017 Marlins, and got a crucial hit against the Nats early in 2017 season, but was soon DFA’d. Outlook for 2015 Oblivion candidates: Most of these guys seem like they have little shot of re-gaining a MLB spot; the first 4 guys are likely retired at this point (Uggla, Johnson, Janssen, Jordan), and the other 3 (Barrett, Carpenter, Hill) face pretty long odds to make it back. Nate Schierholtz: FA after 2014, signed w/ Texas but did not stay with club out of spring training. Played 2015 in Japan, then signed as a MLFA with Detroit in Dec 2015. Starting in AAA for Detroit 2016 but not a 40-man player. Subsequently released on 5/23/16 after hitting .246, did not pick back up for the rest of 2016. May be done. Outlook for 2014 Oblivion candidates: after a rough 2016 for all these players, only Schierholz really seems like he may give it another shot, but he never signed for 2017 and this list may be complete. Yunesky Maya; MLFA with Atlanta AAA for 2014, then went to Korea where he got pounded for two seasons. Just signed a MLFA deal with Los Angeles Angels for 2016 and is pitching for AAA Salt Lake. He strained his elbow and missed a big chunk of the 2016 season, which was a missed opportunity for Maya as the Angels had very little SP depth. Did not sign for 2017. Erik Davis; Nats AAA 2014 60 day D/L Tommy John surgery 2014, still on Nats D/L 2015. Outrighted off the 40-man in January 2016, assigned to AAA. Posted a 4.13 ERA in a full year of middle relief for Syracuse, with excellent K/9 ratios, but did not merit a 9/1 call up. Elected free agency after 2016, signed with Arizona and pitching at AAA Reno for the organization in 2017, posting mediocre numbers but pitching a ton (50+ appearances in 2017). Updates since last post: removed Jhonatan Solano went 1-20 for Miami in 2015 and may be a “Marlins to Oblivion” candidate going forward. Removed Chris Marrero after he made the 2017 San Francisco Giants team in a shock (four years in the minors between MLB at bats). Unfortunately he was DFA’d just a few weeks later after struggling to start the season. Outlook for 2013 Oblivion candidates: The 2 active remaining guys face uphill climbs; none remain with the Nats. Davis is with a new organization for 2017 while Maya has not signed for 2017 and may be done. Updates since last post: Updates for Maldonado, who I can’t believe is still playing in the bus leagues at age 37. Added Christian Garcia after commenter Justin noticed he was missing. Changes since the last post: none other than 2016 assignment updates; nobody’s gotten off this list in a while. Willy Taveras; played AAA for Col in 2011, retired prior to 2012, back with KC AAA 2013. Mexican league 2014, 2015, Indy ball in 2015. He re-signed with Pueblo in the Mexican league for 2016 and played a full season, hitting .325. He’s still playing in 2017. JD Martin; in MIA org AAA 2012, in TB AAA 2013, in Korea 2014 but struggled, no 2015 stats. 2016 MLFA signing back with the team and re-making himself as a knuckleballer. However, in 2017 he spent most of the year in XST, got one appearance in the GCL and was released. Changes since last post: none. Outlook for 2010 Oblivion candidates: Two active players in the minors; Taveras and Martin. Martin may have run out of chances in 2017. Taveras may just be a Mexican leaguer now. Tony Blanco; Nats minor leagues 2006-7, Colorado AA in 2008, in Japan from 2009-present. Hit 41 homers in 2013 for Yokohama but struggled in 2015, but got picked up by Orix and is on their 2016 roster. Not signed for 2017, may be done. Outlook for 2005 Oblivion candidates: Tony Blanco is still playing in Japan, entering his 8th pro season there in 2016. But he has no 2017 assignment. Here’s our annual ritual. Discussing the Rule 5 draft and the impact it has on rosters. According to my Off-Season Baseball Calendar teams have just a few days (Nov 18th) to add players to the 40-man rosters ahead of the Rule-5 draft (which occurs the last day of the winter meetings (this year, at the Gaylord Hotel in the Maryland waterfront in early Dec). As always, using the indispensable Nationals resource sites Draft tracker and the Big Board, and then looking up candidate acquisitions made via trade, here’s some thoughts on who might merit protection. The quick Rule-5 rules; any college-aged draftee from 2012 or before who isn’t already on the 40-man roster is Rule-5 eligible this coming off season, and any high-school aged draftee/International Free Agent from 2011 or before is newly eligible this year. This year’s Draft class Stat overview posts were especially helpful too; here’s the 2013 version for College draftees and the 2012 version for high school-age draftees that are now Rule-5 eligible. Jake Johansen: Only listed because of his draft round and bonus; Johansen has been a huge disappointment and will not be protected. Austin Voth: Absolutely has to be protected and should have been added on 9/1 to get him some MLB innings. John Simms: Put up solid numbers in AA and could feature in AAA this year, but isn’t a shoe-in to immediately contribute at the MLB level. Arguable whether he’s worth protecting. I would, but then again, i’m pro-prospect. Not mentioned: several other draftees from this class that are marginal prospects right now: Cody Gunter, David Masters, William (Isaac) Ballou, Justin Thomas and Matthew DeRosier. All of these guys are scuffling or trending down in my analysis and are not risks for being drafted. Also did not mention any MLFA’s picked up that were 2013 draftees (Philip Walby, Jake Mayers) since they’re both in the low-minors. None: the only HS-age draftee from 2012 that remains in our system is Lucas Giolito, who was added to the 40-man mid 2016 season. Osvaldo Abreu: slashed .247/.328/.346 as the starting SS for Potomac. Has neatly risen one level every year, so seems project-able to AA for 2017. I can’t see him getting drafted though considering he had a .674 OPS figure in High-A this year, even given that he could provide MIF cover for a MLB team. Has gotten some notice on prospect lists. Rafael Bautista: slashed .282/.344/.341 with 56 stolen bases in 136 games playing mostly CF/RF for Harrisburg. A CF with that kind of speed who maintains his BA and OBP is worth protecting. Turns 24 before next season though. Jefry Rodriguez: went 7-11 with a 4.96 ERA in 25 starts for Low-A Hagerstown. Rodriguez was on our lips for a while as a potential high end prospect … until he couldn’t succeed outside of short-season ball. 2016 was the third year he’s competed in Hagerstown and a 4.96 ERA isn’t going to cut it. He’s no threat to get drafted but probably keeps moving up the system. Philips Valdez: went 12-7 with a 4.24 ERA across two-levels and 27 starts this year. He turns 25 in a few days. Despite being a AA starter, I’m not sure any team would really roll the dice on him in Rule-5. He “only” had 109 Ks in 152 IP this year, not exactly overpowering stuff. He also got hit in AA; i can see him starting in AA rotation again next season. David Ramos spent most of 2016 on the D/L in Auburn and has never pitched above low-A ball. Not a candidate to be protected. Not mentioned: several 2012 IFA signings throughout the lower levels of the system. This includes Andres Martinez, Darryl Florentino, Mario Sanchez, Brayan Serrata. One other significant 2012 IFA signee is already on the 40-man: Reynaldo Lopez. Rule-5 Eligible hold-overs of note: 2012 or prior college draftees still hanging out in the system, or 2011 and prior HS/IFAs. Raudy Read: slashed .262/.324/.415 in a full year catching in High-A. Promising, but he’s also already 23. Considering a rule-5 draft of a player like Read brings back memories of our own drafting of Jesus Flores. Bryan Mejia: slashed .241/.279/.347 starting a full year playing 2B for High-A. Not a ton of power there; little chance of being drafted, no prospect buzz. Jose Marmolejos (no longer -Diaz): slashed .289/.370/.475 between High-A and AA while earning his 2nd straight Nats minor league hitter of the year award. Good slugging percentage showing lots of gap power and some home-run power, but he’s already 1B-only and is 23. Hector Silvestre: spent most of 2016 doing short stints/rehab assignments after missing all of 2015. 9 starts, 1.42 ERA amongst all A-ball affiliates. Looks promising for us, but no need for Rule-5 protection at this point. Gilberto Mendez: nice numbers as a late-inning reliever for High-A (2.09 ERA, 8 saves). Turns 24 tomorrow and is an undersized RHP reliever; no risk of being picked. Wirkin Estevez (2010 IFA): 5.03 ERA as a swingman for Potomac after missing all of 2016. No risk of being drafted. Wander Suero (2010 IFA): 3-0 with a 2.44 ERA, 48/21 K/BB ratio in 55 AA innings. Solid numbers … but not a lefty so seems unlikely to get drafted. But he’s really no different than Simms, so he’s a maybe. 2012 College Draftees that are Rule-5 holdovers include Perez, Benincasa, Self, Pena, Orlan; none are really worth protecting. There are no 2011 HS draftees still remaining in the system. Other 2011 IFAs still around but not mentioned: Anderson Martinez, Diomedes Eusebio, Randy Encarnacion, Jorge Tillero. 2010 IFAs still hanging around not otherwise mentioned: Adderling Ruiz, Narciso Mesa. All are so low in the system they’re not worth mentioning. So, who would I protect? As of today, the team has a ton of open slots on the 40-man roster to work with (32 of 40 as of this writing), but has to “save” some room for some clear FA/trade acquisitions. There’s also (arguably) a bit of wiggle room there; I see at least 4-5 additional guys on the current 40-man who could make way if need be. Who would I protect? Probably Voth, Bautista and Marmolejos. I’d roll the dice leaving the likes of Abreu and Read unprotected despite their presence on prospect lists, and I’d roll the dice leaving Simms, Suero and Valdez unprotected since they’re all RHP and none has pitched above AA. Thoughts? Opinions? Did I forget anyone and/or am I considering the wrong guys? These IFAs are always iffy in terms of eligibility, and some of the MLFAs are confusing too in terms of their status. So let me know if I’m missing someone. MLBpipeline posted its Rule5 analysis and mentioned (for the nats) the four names we’re bouncing around here as well. We don’t have any super-high ranked prospects to protect like other teams. 11/18/16: official announcement: Voth, Bautista, Marmolejos, Read and Skole. Most surprised by Skole, who I didn’t even bother to do analysis about above thanks to his lack of a 9/1 call up this year. For a fun trip down memory lane, here’s the same Rule 5 Protection analysis post for 2015, 2014, 2013, 2012, 2011, and 2010. By year, here’s who I predicted we’d add and who we did add. 2016: Predicted Voth, Bautista. Actual: Voth, Bautista, Marmolejos, Read and Skole. 2014: Predicted Cole, Skole, Goodwin. Hedged on Grace, Martin and Difo. Actual: Cole, Goodwin, Difo, Grace. 2013: Predicted Solis as the only lock (Souza already added). Possibles mentioned in order Barrett, Taylor, Grace, Holland. Actual: Solis, Barrett, Taylor. 2012: Predicted Karns and McCoy, with Hood and Rosenbaum as maybes. Actual: Karns and Davis. I think we were all surprised by Davis’ inclusion, despite his good AA numbers that year. 2011: Predicted Norris as a lock, guessed strongly on Moore, Meyers and Komatsu. Actual: Norris, Moore, Solano, Perez. This was poor analysis on my part; I did not consider the IFAs newly eligible. 2010: Predicted Marrero, Meyers and Mandel. Actual: Marrero, Carr and Kimball. 2009: pre-dates my blog and thus no predictions, but Actual was Jaime, Thompson and Severino. I’m digging the frequency of Bill Ladson’s inboxes this year. It prompts me to write something when i’m otherwise slammed and distracted with that silly thing called work. Here’s 4/25/16’s edition. Q: As April comes to an end, what has been the most pleasant surprise for the Nationals? A: I’ll go with the relatively injury-free spring and April; we havn’t had someone major break or pull anything. Only Ben Revere has gotten bit by the bug, and that’s no great loss b/c it forces more playing time for Michael Taylor. Ladson goes with the Bullpen, who admittedly has been great. Q: In your recent Inbox, you said No. 3 prospect Victor Robles will be Bryce Harper‘s teammate in a couple of years. Do you think Harper will still be a member of the Nats? I watched Harper all spring, but my guess is I’ll be driving cross state to Tampa to see him with the Yankees. A: Harper hasn’t even hit arbitration years yet. But the timing of Harper hitting free agency and Robles likely arriving could be a “dovetailing” event. I think the assumption that Harper is automatically going to go to New York is silly; the Yankees aren’t highest spending franchise right now, and Steinbrenner‘s sons seem like they’re more interested in avoiding luxury taxes right now than they are in winning. The big question the Nats will have to ask themselves is whether they’re willing to put 25% of their payroll for the next decade on one player…. when the time comes anyway. They’re already kicking $15M/year down the road for a decade longer than they have to with Scherzer‘s contract. 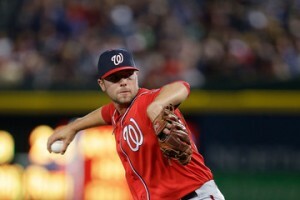 Ladson thinks the Nats will “find a way to pay Harper.” Really?? Do you not know who his agent its? Harper is GOING to go to FA, no matter what his opinion of Washington is. Q: What is Plan B for the ninth inning if Jonathan Papelbon gets hurt or doesn’t perform? Seems like there isn’t a replacement. A: Actually, its looking more and more like there’s TWO options: Treinen and Rivero. I gotta admit; i like what Dusty Baker is doing with the bullpen so far. Both these guys are looking like closers in training. And that’s good b/c there’s not a ton of help at AAA right now. A quick glance at the Syracuse stats isn’t entirely promising on this front: I don’t see a “closer in training” anywhere in AAA. As far as relievers go; Trevor Gott has ok numbers but not good K/9 rates. 40-man guys Grace and Solis are both doing great … but they’re loogies. Rafael Martin and Sam Runion have struggled. Two guys that could be interesting (Erik Davis and Abel de los Santos) have done well … Davis especially, finally healthy after all this time. But again, not a closer. So, if Papelbon went down we’d probably be looking at Treinen as the closer, Rivero as an 8th inning guy and likely bringing up Davis or de los Santos to fill in earlier. Ladson also says Treinen and Rivero. Q: Why doesn’t Matt den Dekker get more starting opportunities? He has speed, power and is great defensively. A: It might just be a matter of time, if Michael Taylor continues to struggle and Ben Revere is slow to come back. But at this point, based on limited sample sizes, even den Dekker might be “behind” Chris Heisey were the Nats to need another starting outfielder. Just no room at the inn. Ladson thinks Taylor and den Dekker could platoon. Q: Why wasn’t Gio Gonzalez pitching in this first home series? He’s a veteran pitcher who seems to have been squeezed out of the starting rotation during the first two weeks. A: Clearly Baker looked at Gio Gonzalez as his 5th starter coming out of Spring Training and that’s what it meant to have been skipped the first time through the rotation. I don’t think its a stretch to say that the other four guys have outperformed Gonzalez lately, either in potential (Joe Ross) or in 2014 performance (Tanner Roark). Baker basically said that Gonzalez’s starts tax the bullpen so he had to consider when to use him. Ladson notes that Gio struggled in spring training. Q: With Trea Turner of to a nice start, when do we expect to see him in the big leagues? A: Man that’s a good question; every additional week he’s hitting .350 in AAA and Danny Espinosa isn’t hitting his weight is another week where it becomes tougher and tougher to keep him down. I still think he’ll hang out down there until the Nats regain a service year. Ladson makes a good point; the Nats are winning without him so why change anything? We discussed Non-Roster Invitees (NRI) last year (link to 2015’s post) at the behest of reader forensicane, and it was such a good topic that, upon seeing yesterday’s announcement from the various Nats beat writers (here’s James Wagner from the WP’s post), I thought I’d put up a post where we could discuss. Reminder from last year; there were 20 NRIs; two made the 25-man roster out of spring (Dan Uggla and Clint Robinson), two others eventually got added and called up (Rafael Martin and Emmanuel Burriss) and two others were young catchers since added to the 40-man (Spencer Kieboom, Pedro Severino), so these are not throw-away players. The odds of several of these names playing a part in this team’s future is high, even past the obvious candidates (i.e. those listed at or near the top of prospect lists). Like last year, we’ll go by position and discuss their chances for making the team, staying with the franchise, and (depending on their roster status) their future plans with the team in general (the below format is cut-n-pasted from Wagner’s post). Discussion: Solano, the long time Nats-farm hand, returns to the fold after being released ahead of an options crunch in Nov 2014 and spending 2015 toiling for Miami’s AAA team alongside his brother. He did get 20 MLB at bats in 2015 … and went 1-for-20. He’s back, though his odds of breaking ahead of any of the four catchers we have on the roster seems very slim right now, even given the known offensive limitations of both MLB-projected catchers. Now, were one of Ramos or Lobaton go down with injury … that might open things up. Would you rather depend on one of the two rookies on the 40-man as your backup or at least go with someone like Solano, who has at least a few MLB at bats over the past few years under his belt? Neither A or B are good options, and you might think that the “Jonathan Lucroy to Washington” future plan may pick up speed at that point. Odds of any of these NRIs making the 25-man roster: Negligible unless there’s an injury. Future plans: Solano back to AAA once again as depth if there’s an injury; he may be flat out released if not since both Severino and Kieboom seem destined to head to AAA to split catching duties. Discussion: The team is quite familiar with both Martinson and Skole; both being draft picks and both being relatively close to the end of their tenure here. Martinson has quietly climbed the ranks but hit just .218 in AAA last year; what he has though is power. 21 homers and corner infield capabilities (he was a SS coming out of college but quickly moved to 3B). I view him as “Tyler Moore” insurance and the team likely has him at camp to see if he’s at all a possible option in case something bad happens. Skole has long been a personal favorite, a former Nats minor league player of the year whose promising career was derailed by a season-long injury in 2013. He took a big step back in 2015, not making the AAA team out of spring but eventually getting there mid-season. He also has power (20 combined homers last year) but from the left hand side while also playing corner infield. I view him as “Clint Robinson” insurance. Meanwhile, both Ryan and Sizemore seemingly are competing for the second “backup utility infielder” role on this team, one that without any other moves would go to someone like Wilmer Difo or perhaps Danny Espinosa were the team to decide to go with Trea Turner from day one. I don’t see that happening; I think Difo showed he needs more seasoning, I think the team wants a veteran at short and either Sizemore or (more likely) Ryan makes this team as the 2nd utility guy. Odds of any of these NRIs making the 25-man roster: High: I think Ryan breaks camp with the team. Future plans: Martinson and Skole back in AAA, Sizemore may have an opt-out but may not since he was in AAA most of last year. Discussion: Schafer was brought in presumably to compete with Matt den Dekker as a speedy CF-capable 5th outfielder type. Problem is that Schafer can’t hit: career .212 hitter with a meager career .319 slugging. Campana? Same story; the 5’8″ backup outfielder didn’t even appear in the majors last year and has just one homer in 477 career MLB appearances. den Dekker showed some promise at the end of last season and seems like he’s the first guy to get called up if/when there’s an injury in the outfield. So lets talk about the two guys who do have some consideration. The team knows exactly what it has with Johnson: an aging scrappy veteran who can play a corner OF and be a good clubhouse presence. Sounds like Jayson Werth minus 6 inches of height and $120M of contract. I think they invited him just as saying “thanks and sorry about last year.” Meanwhile, some are talking about Heisey having a shot at this roster: I think maybe. If the team is looking to upgrade the Tyler Moore “right-handed pinch hitter off the bench” role, then Heisey is his competition. He’s somewhat accomplished; he has never really started in his career but hit 18 homers as a part-timer in Cincinnati a few years back. But his bat has been just as meager as Moore’s lately: he hit just .223 combined across several AAA levels last year. Of course, all of those figures are better than what Moore has done lately, and Heisey likely is cheaper than Moore for 2016 (Moore signed a pre-arb deal of $900k but of course could be released mid-spring training without the Nats having to pay a ton of his guaranteed salary). The question becomes; is Heisey’s positional flexibility (he’s an OF who can play CF in a pinch while Moore can basically only play 1B) going to win out over Moore’s long tenure with the team? Maybe. Odds of any of these NRIs making the 25-man roster: Pretty good: Heisey seems like he could beat out Moore for the RH bench bat. Future plans: we don’t have a ton of depth at the OF position in AAA; i’m sure one or both of Schafer/Campana could stick around. Johnson could elect to retire if he doesn’t make the team at his advanced age. Heisey could stick around or could have an opt-out if he doesn’t make the squad. Discussion: Thanks to FA departures and starter conversions, the Nats now have just seven starters on their 40-man roster. Scherzer, Strasburg, Gonzalez*, Ross, Roark, Cole, Jordan. Where as last year the team could afford to send a 5-win starter to the mop-up role, this year they’re one injury from really having to answer some very serious questions. Which is probably why they have signed Bronson Arroyo honestly; despite throwing up low-to-mid 80s heat, he has remained relatively effective deep into his 30s. In reality though, the Nats real SP depth is seen directly in the NRIs; in order Giolito, Voth and Espino. These three guys are who this team likely turns to if the injury bug really bites the projected rotation. I’m on record saying that Giolito is going to be up in 2016; might as well get him used to seeing MLB hitters (or close to it, depending on when they give him innings). In reality, nobody on this list projects to have a shot at cracking the 2016 rotation save for injury. The big question really comes down to Arroyo versus Roark for the 5th spot. Is it likely that Roark gets dumped back to the bullpen again, causing a cascading series of bullpen moves (Petit to middle relief, Treinen likely to AAA)? Not that likely but you never know, and Dusty Baker certainly goes way back with Arroyo. I think its a certainty that the NRI prospects don’t break camp with the squad … but Arroyo could have a shot. Odds of any of these NRIs making the 25-man roster: Decent for Arroyo. Future plans: Four of these six NRIs will form the bulk of the Syracuse rotation (Espino, Hill, Laffey, Voth), to be joined with Cole and Jordan for the core rotation in upstate NY. I’ve projected Giolito to start back in AA and prove he can dominate that level before moving up and bumping someone like Laffey or Hill from the AAA rotation. That leaves Arroyo; if he doesn’t make the team, I’m guessing he’s opting out instead of lowering himself to riding buses in AAA. Discussion: While the 40-man roster of starters is thin (7), the Nats now have no less than thirteen (!) relievers on their 40-man roster. That’s a lot of arms. Only 7 of them are making the MLB bullpen, and for the most part you can ink in the opening day rotation by looking at the acquisitions the team has done since July of last year. So not a lot of room in the inn for NRI relievers. Davis gets the invite despite getting dumped off of the 40-man roster probably as one last ditch effort to show the MLB staff he can still pitch. Long time Nat Burnett returns to the fold coming off of a second TJ, probably given the NRI for sentimental reasons more than anything. Brady and Masset are new acquisitions (one by trade, one by MLFA) who both project to be Syracuse middle relief (where my pre-season analysis also showed a massive glut of arms), while Suero’s callup seems like an audition to be added to the 40-man roster ahead of next off season’s rule 5 draft, since Suero just finished his 6th pro season and will be exposed next December. Odds of any of these NRIs making the 25-man roster: Nil: the Nats have way too many relievers already and none of these guys projects to be better than what we already have on the 40-man. Future plans: Brady, Davis, Masset to AAA, Suero to AA, Burnett opts-out looking for a MLB loogy job after proving he’s healthy again on the Nats spring training meal money dime. I think there’s a good chance of at least one and perhaps two NRIs to make the 25-man roster. For some historical perspective, here’s 2013’s version (featuring Taylor Jordan), here’s 2012’s version (Nathan Karns the feature pitcher) and 2011’s version (Danny Rosenbaum the feature pitcher) of this post specifically for Potomac/High-A. Had we done this in 2014, we would likely have “featured” Gilberto Mendez for his good work closing. Note; while its relatively easy to do reviews for the upper levels of the system, once we get lower we’re usually talking about a lot of short sample sizes. And i’m sure there’s people reading this who saw every pitcher on this post throw in 2015; by all means feel free to comment if you believe i’ve mis-characterized someone here. Of all the write-ups I expect readers here to have better opinions of Potomac players by virtue of actually seeing them week in/week out, so definitely pipe up. All stats are courtesy of either milb.com’s Potomac 2015 Stats page or via Fangraph’s Potomac 2015 page. Also useful here are the Big Board and the Nats Draft Tracker since so many of these lower-minors guys are recent draftees. And here’s the Baseball America Minor League Free Agent (MLFA) tracker. And here’s a list of the official MLB MLFA declarations for 2015, though these are more useful for the AAA and AA squads frankly. Potomac starters. The rotation started the season with Pivetta, Rauh, Schwartz, Suero, Spann*. 19 guys got starts in 2015. Here’s an overview of the starters used, starting with the original five starters, going all the way to the rehab spot starts. Nick Pivetta was your opening day starter, and by the end of the season he had gotten promoted and traded. He earned his promotion, going 7-4 with a 2.29 ERA in 15 starts for Potomac. He was not as successful upon his promotion to AA, but that was still enough to catch the eye of Philadelphia and be the bounty for them ridding themselves of Jonathan Papelbon‘s ego and contract. If he was still with the team, he would have been the ‘featured” player above and not Mapes for his dominant season in High-A. Outlook for Next Season: Philadelphia’s AA team in Reading, where he gets to go against Harrisburg and all his old teammates a few times a year. Brian Rauh threw 7 excellent High-A starts before getting promoted to AA, where he spent most of the year. See AA write-up for more. Outlook for Next season: AA rotation or bust. Wander Suero pitched pretty effectively for Potomac in the first half in a swingman role, getting 16 appearances and 5 starts and posting a 2.41 ERA, 1.20 whip, and a 3.27 FIP. Not much in the way of swing and miss though; 39/18 K/BB in 56 innings. After moving up, he struggled in AA but inched up his K/9 rate while focusing more on middle relief. No reason to think he can’t compete in AA in 2016, and is still relatively young (he turned 24 just after the season ended so he’ll still be 24 all next year). Outlook for Next season: AA bullpen, perhaps High-A bullpen again if he gets squeezed in a numbers game. Matthew Spann bounced between High-A and AA all year, posting mid 4 ERAs in both places. See AA write-up for more. Outlook for Next season: AA rotation. Reynaldo Lopez led the team in IP and starts for 2015, going 6-7 with a 4.09 ERA in 99 IP across 19 starts. His stats: 4.09 ERA, 1.22 whip, 2.95 FIP and 94/28 K/BB in those 99 innings, all as a 21-yr old. It isn’t hard to see why Lopez is highly ranked on “top 10” lists for Nats prospects; he more than held his own in High-A as one of the younger hurlers in the league. The team held him back in XST for a few weeks to keep innings off his arm. While most scouting reports think he’ll eventually end up in the bullpen (no third pitch, iffy mechanics, big arm), he’s obviously worth giving more chances to stick as a high-velocity starter (in the same vein as Yordano Ventura for example). Outlook for Next season: AA rotation. John Simms threw an excellent half season for Potomac before getting bumped up mid-season; see AA writeup for more. Outlook for Next season: AA rotation. Lucas Giolito threw an dominant half season for Potomac (86 ks in 69 innings) after being kept in XST for the first 5 weeks of the season (so much for those pre-2015 interviews where he proclaimed that he had no innings limits, eh?) before also getting bumped up mid-season; see AA writeup for more. Outlook for Next season: AA rotation. Austen Williams blitzed the Sally league and forced a promotion to Potomac mid-season, where he continued pitching well. In High-A he was 4-6 with a 2.59 ERA, 1.09 whip, 3.22 fip and 41/17 K/BB over 63 high-A innings. The 2014 draftee is looking like a nice little find. There does seem to be a bit of fortuitousness in his numbers (.253 BABIP and a delta between his ERA and FIP), so I could see the log-jam in the AA projected rotation keeping Williams back in Potomac for the first half of the 2016 season. Outlook for Next season: High-A rotation to start with an eye on quick promotion. Tyler Mapes so far is a pretty good 2014 draft success story; he was a 30th round *senior sign* out of Tulane who was basically unhittable in Short-A last year, threw 6 clean innings in Low-A and was bumped up to High-A (the first 2014 draftee to get promoted that high) after just a couple of weeks. Once in Potomac, he continued to pitch well in a swing-man role; 30 appearances, 8 starts, a 2.38 ERA across 90 innings, 1.22 whip, 2.78 FIP and 75/17 K/BB over 96 innings in High-A. Not too shabby. If it were me, I’d push him right to AA and stick him in the rotation, but as noted before I’m projecting an awful lot of starters to be in that Harrisburg rotation right now. I’m curious to see how things shake out for someone like Mapes; he didn’t last to the 30th round as a favor to the Nats; is there something limiting in his capabilities that will cause him to suddenly top out like a lot of late-round senior signs? We’ll see. Outlook for Next season: AA rotation. Ian Dickson was hurt the first half of the season and finished 2015 the exact same place he finished 2014: in the Potomac rotation with decent to effective numbers. 2015 totals for Dickson: 3-3, 3.60 ERA in 12 appearances/8 starts. We see a problem though: 31 ks and 39 (?!) walks in 40 innings in Potomac this year. Wow; that’s a walk an inning. He never saw this kind of walk rate before, so hopefully its just a remnant of whatever injury kept him out the first half of the year. Nonetheless, he seems like he’ll be back in Potomac a third year until he can solve his walk rate issues. Outlook for Next season: High-A rotation. Dakota Bacus began the season in Potomac, had 5 starts and 8 appearances and got bumped quickly to Harrisburg, where he played most of the season. See AA write-up for more. Jeff Howell is a pretty interesting player. He’s a career minor league backup catcher, having toiled in the lower minor leagues since 2005. He signed on with Washington in 2012 and hung around as a backup between the levels for a couple of years. Then suddenly, at the age of 32, he decided to try his hand on the mound. Perhaps he was inspired by other Catchers-turned-Hurlers like Jason Motte. He (presumably) hung out in XST for most of the season learning how to pitch, then threw a couple of games in the Rookie league, then for Hagerstown, then finally for Potomac at season’s end. He struggled once he got to Potomac, giving up 9 runs in 13 innings but more importantly walking 17 guys while he was there. He’s now a MLFA and one may think that he’d re-up with Washington since we’re the ones who gave him a shot. We’ll see how the off-season goes. He may choose to pitch elsewhere where he can be guaranteed a rotation spot (a tough one in our system, since we’re completely overloaded with arms from pitching-heavy drafts over the past few years). Outlook for Next season: continuing his conversion to pitcher in another organization. Matt Purke got three brief starts in Potomac before settling in Harrisburg for the year; see AA write-up for more. Rehab starts for Potomac in 2015: Barrett, Roark, Janssen and Carpenter (though technically Roark’s were not rehab but “stretching out” starts). Potomac Relievers: taking a look at the relief corps. We’ll organize relievers by going by IP from most to least. Anyone with less than 10 IP will get cursory analysis at the end. Justin Thomas was the bullpen leader in IP for Potomac in 2015, throwing 57 innings across 28 games, posting a 3.43 ERA, 1.21 whip, a 2.84 FIP and getting 50/18 K/BB in those 57 innings. He’s a lefty but was used more as a long-man, not being limited to just short stints. He’s looking great considering his limited draft pedigree (senior sign out of a small college in the 21st round) and I see no reason not to keep bumping him up the chain. Outlook for Next season: AA rotation. Jake Johanssen was 1-7 with a 5.44 ERA, 1.81 whip, 4.69 fip with 48/27 K/BB in 48 relief innings for Potomac. Johanssen was our top draft pick in 2013, has already been “demoted” from a starter to the pen, and now seemingly can’t perform in a relief role either. Where do you go from here with him? You and I know that his large bonus is a “sunk cost” and shouldn’t dictate his usage, but teams don’t seem to see it that way. Just look at how long the Nats kept Brett Mooneyham around after it became clear he wasn’t capable of performing, even at lower levels of the minors? I see Johanssen repeating High-A and trying to get his career back on track. Outlook for Next season: High-A bullpen. Derek Self seems to be taking a step back in his career; after posting a 1.69 ERA through half a season in Potomac last year, he more than earned a promotion up to AA where he more than held his own. However after just 14 innings in AA this year, he got dumped back to Potomac, thus repeating High-A for the third straight year. He was solid again; a 4/1 K/BB ratio in middle relief, but where is his Nats career going at this point? Obviously he needs to be in the AA bullpen next year, but you could have also said that last year and it didn’t work out. There’s going to be a lot of AA bullpen competition; if he gets squeezed out does he get cut in 2016? we’ll see. Outlook for Next season: AA bullpen competition/Release Candidate. Brian Dupra is in a similar boat as Derek Self; he’s now 27 and spent most of his third successive year in Potomac. He was promoted mid-season to AA but didn’t last long after getting hit hard. Final Potomac stats for 2015: 2.79 ERA in 42 mostly later bullpen innings. I think he’s going to be in a similar situation as Self this coming spring; if he cannot cut it at AA (and there’s plenty of competition for that bullpen), he may get cut loose entirely. Not that it should matter, but it should be noted that Dupra was a senior sign for limited bonus money out of Notre Dame in 2011, so it could be a “make the team or get cut” situation. Outlook for Next season: AA bullpen competition/Release candidate. Cody Davis was struggling early in the season, with a decent ERA but ugly peripherals (4.55 fip, 10/15 K/BB in 21 ip) and was released towards the end of June as upwards player movement started to need bullpen spots. The undrafted MLFA signing from 2011 played parts of 5 seasons for the system but seemed to fall apart this year as he repeated High-A. It does not look like he picked up anywhere and may be done. Outlook for Next season: out of baseball. Manny Rodriguez only threw 21 innings between two different D/L stints this year, and then was released soon after the end of the season. It seems that the team believed he never recovered from the injury that cost him two full seasons early in his minor league career. Outlook for Next season: out of baseball. Jake Walsh threw 17 scoreless innings as a late-inning/closer in Low-A before getting bumped up to High-A in July. From there out he posted a 3.66 ERA in 19.2 innings across 9 appearances with a 19/10 K/BB ratio. There’s something odd going on with Walsh; why was he even in Low-A to start 2015? He posted a sub-2.00 ERA across low- and high-A LAST YEAR, yet didn’t start in Potomac nor get considered for the AA rotation despite being a senior sign in 2013. He now holds a CAREER 1.65 ERA and seems to me to more than have earned a shot at a look at a higher level. Outlook for Next season: AA bullpen. Kevin Perez spent the 2nd half of the year in Hagerstown after struggling early on in Potomac: see Low-A write-up for more. Robert Orlan spent most of the season in Hagerstown but posted a 2.20 ERA in Potomac in 16.1 August innings: see Low-A write-up for more. 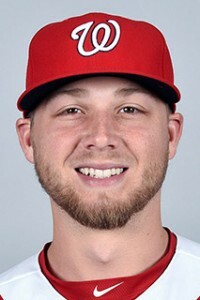 Justin Amlung, similarly to Orlan above, spent most of the season in Hagerstown but posted an excellent 1.84 ERA in Potomac in 14.2 July and August innings: see Low-A write-up for more. David Napoli had 8 IP for Potomac before getting demoted to Hagerstown: see Low-A write-up for more. Matt Purke threw 7 IP for Potomac during his tour of the Nats farm system in 2015: see AA write-up for more. 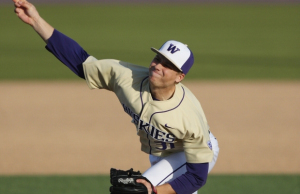 Erik Davis threw 3 re-hab IP in 2015; see AA write-up for more. Tanner Roark threw one 4Ip start during his “stretch out” minor league stint; see MLB write-up for more. MLBers Aaron Barrett, Casey Janssen and David Carpenter each had some re-hab innings; see MLB write-up for more. A few guys spent the entire year on the D/L: Ronald Pena, Kylin Turnbull, Hector Sylvestre: all are looking at repeating Potomac next year if/when healthy. Potomac certainly saw a lot of churn in its pitching staff; 32 total pitchers used (19 different starters including rehab starts by relievers). Their leading IP was Lopez, who didn’t even hit 100 IP on the year. There were at least 6-7 arms who earned their promotions to AA mid-season, a great sign for the rising tide of pitching talent in the system. Lots of guys with ERAs that start with a “2” in the season-ending stats. It didn’t help Potomac in the standings; they finished both halves several games under .500 and out of the playoffs. This will create quite a competition for the AA staff next year: my projections at this point show at least 6-7 rotation candidates, 8-9 bullpen candidates and another 3-4 guys who are right at that age where they may be summarily cut if they don’t make the AA team in 2016. Harsh, but good for the Nats, who could use all the bullpen help they can get. After skipping the minor league pitching staff reviews in 2014 (that silly thing called work interfered), I’m back for 2015. I’ll be reviewing the six minor league levels and the major league levels going from high to low. In this series, we have already published the 2015 MLB review and the 2015 AAA review. For some AA review historical perspective, here’s 2013’s version (featuring Nathan Karns), here’s 2012’s version (featuring Danny Rosenbaum) and 2011’s version (featuring Brad Peacock) of this post specifically for Harrisburg/AA. In the missing 2014 post I likely would have “featured” either A.J. Cole or Matt Grace. All stats are courtesy of either milb.com’s Harrisburg 2015 Stats page or via Fangraph’s Harrisburg 2015 Stats page. Also useful here are the Big Board and the Nats Draft Tracker. And here’s the Baseball America Minor League Free Agent (MLFA) tracker. And here’s a list of the official MLB MLFA declarations for 2015, though these are more useful for the AAA squad frankly. Harrisburg starters. The rotation started the season with Voth, Ross, Espino, Alderson, Swynenberg. Here’s an overview of the starters used, starting with the original five starters. Austin Voth not only was the opening day starter, he led the team in IP and in starts. He posted a 6-7 record with a 2.92 ERA, 1.11 whip, 3.07 fip and had a 148/40 K/BB ratio in 157.1 innings. Nobody else had more than 15 starts on the year for the Senators, meaning Voth was the unquestioned leader of this pitching staff all year. He proved that his precipitous rise in 2014 was no fluke by posting solid numbers. Thanks to a glut of starters above him, I can’t quite see him breaking into the MLB rotation (ala Jordan Zimmermann, who jumped straight from a solid AA season to the majors), but I can see him jumping ahead of some of the AAA starter-in-waiting guys (Cole, Jordan, Hill) if/when the opportunity arises to provide injury cover in the majors. 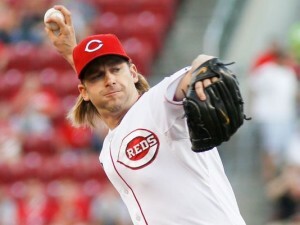 Outlook for Next season: AAA rotation and a MLB debut at some point in 20116. Joe Ross threw 9 solid starts in AA before getting called up and solidifying his place in the 2016 MLB rotation; see the MLB write-up for more. Outlook for Next season: Nats #4 starter. Paolo Espino threw seven decent starts in AA before getting plucked to move up, spending the rest of the season in AAA. See AAA write-up for more. Outlook for Next season: AAA rotation. Tim Alderson had just 5 starts as a Feb 2015 MLFA signing before getting hurt and spending essentially the rest of the season on the D/L. He has already elected free agency. Outlook for Next season: in another organization. Colin Bates returned to Harrisburg for his second stint, converting more to a long-man/spot starter in 2015 than the pure reliever he was in 2014. Results are mixed: he was 6-6 with a 4.28 ERA in 111.1 innings across 28 games/15 starts. 1.37 whip, 4.25 fip. 62/29 K/BB in those 111 innings. A pretty low K/9 ratio for today’s power-heavy pitching game lends me to believe that Bates has reached his peak; I could see him pushed to the AAA bullpen or staying in AA bullpen again as a swingman based on the numbers, but either way he stands to play out 2016 as an org guy before hitting MLFA. Outlook for Next season: AA bullpen. Dakota Bacus started in Potomac but got bumped quickly to Harrisburg, where he played most of the season (he was a 9/1 call-up to AAA to provide a few days of bullpen cover). For Harrisburg he was 6-3 with a 3.51 ERA in 22 appearances and 11 starts. 1.29 whip in AA, 4.11 fip and a 53/29 K/BB in 89.2 AA innings. Not bad, not great. Bacus was the return for Kurt Suzuki trade in late 2013 and has steadily climbed the ladder; I can see him in the AAA bullpen next year. He’s still just 24 and we have a couple more years of control, so he could still have an impact. He’s survived one Rule-5 draft already; his goal in 2016 should be to put himself in a position to earn a 40-man spot. Outlook for Next season: AAA bullpen. Matthew Spann bounced freely between High-A and AA this year, throwing slightly more innings in High-A but getting 10 starts in AA. In those 10 AA starts, he was 2-2 with a 4.66 ERA, 1.61 whip, 3.70 fip and had a 35/25 K/BB ratio in 56 innings. He ended the year where he began it; the High-A rotation. Spann was the return for David DeJesus and already has 6 minor league seasons in him, so he may have found his peak level. I could see him back in the mix for the AA rotation for one more season before hitting MLFA/getting released. The fact that he’s a lefty though gives him a bit more of a stay of execution; his lefty vs lefty numbers are a bit better than against righies, so perhaps he could convert to relief if need be. But he’s stuck as a starter for an awful long time; most guys wouldn’t last 6 seasons as a starter in the low-minors unless there was something there. Outlook for Next season: AA rotation. Lucas Giolito had 8 starts for Harrisburg after a mid-season promotion from High-A. He was 4-2 with a 3.80 ERA in those 8 starts, with 1.37 whip, 3.18 fip and 45/17 K/BB in 47.1 AA innings. Gioloto took a bit of time to adjust to AA; 10 of the 20 earned runs he gave up (and 6 of his 11 walsk) in his 8 AA starts were in his first two appearances. It took him weeks to get a home start, and he only made two home starts during his AA season. Eventually he adjusted; throwing 7 innings of one-hit ball with 11 strikeouts in his home debut for Harrisburg. Giolito got hit; he certainly wasn’t as dominant in AA as he was in High-A, but he’s also just turned 21 and there’s no mistaking the potential in his arm. I think the team starts him in AA again, hoping for a 5-6 week earned promotion to AAA and perhaps a mid-to-late season call-up potential for 2016. Outlook for Next season: AA rotation to start. John Simms earned his promotion from High-A to AA the same day as Giolito and also got 8 AA starts. His results were mixed: 2-3 with a 4.40 ERA, 1.42 whip, 3.82 fip and 34/15 K/BB in 45 AA innings. Simms showed more K/9 in AA than he did in High-A oddly, but wasn’t appreciably more hittable. This was his second stint in AA and improved slightly from his 2014 numbers (where he had 11 starts with a 5.03 ERA). Nonetheless, good progress for the 2013 11th rounder. Outlook for Next season: AA rotation. Brian Rauh had an interesting tour of the Nats minor league affiliates in 2015, starting the season in Potomac, getting quickly promoted to Harrisburg, struggling, getting hurt, going to the D/L, doing a rehab assignment in Viera, then working his way back up the chain from Low- to High-A and ending the year back in the Harrisburg rotation. He proved twice he was too good for High-A, and proved twice why he may not be ready for AA. Total AA stats on the year: 8 starts, 4.83 ERA, 1.41 whip, 4.95 fip and 29/10 K/BB in 41 AA innings. 2016 is sink or swim time for Rauh in AA; he can’t go back to Potomac for the fourth straight year. Outlook for Next season: AA rotation or bust. Matthew Purke had a whirlwind off-season, getting DFA’d off the 40-man roster but then quickly re-signed to a MLFA contract for the 2015. season to give it one last go for the former big-money bonus 2011 3rd rounder. He rose to AA where he pitched as a swing-man, getting 10 games and 5 starts, and did not impress. 6.29 ERA, 1.64 whip, 3.76 fip. 19/7 K/BB in 24 AA innings. His lower minors numbers were much better … but at this point in his age 25 season, he needs to be competing well at the higher levels. I think its clear that he’s not going to recover from his shoulder issues and it seems unlikely he’ll rise much above where he already has. He has already declared as a MLFA and has signed with the White Sox as a MLFA for 2016. Thus ends a long, drawn-out saga for a guy who I thought was a huge draft day coup for us. Outlook for Next season: AA in the White Sox organization. Nick Pivetta had 3 AA starts after getting promoted from Potomac before getting flipped for Jonathan Papelbon: see High-A write-up for more. James Simmons threw a couple of spot starts in Harrisonburg, inbetween his regular reliever duties. See reliever section for more. Solis, Fister, Strasburg, Janssen and Roark each had one “start” during rehab assignments in Harrisburg; see MLB write-up for each. Harrisburg Relievers: taking a look at the relief corps. We’ll organize relievers by going by IP from most to least. Anyone with less than 10 IP will get cursory analysis at the end. Gilberto Mendez keeps moving on up the system, posting a 3.84 ERA in a full season (61 innings) as a middle reliever in AA. 1.38 whip, 3.51 fip and 52/17 K/BB in those 61 innings. Mendez’ numbers inflated somewhat dramatically from his last two years, his whip jumping from 0.94 to 1.38 with the jump to AA. His K/9 stayed impressive though. His BAA and BABIP look inflated so perhaps he had some bad luck going. He’s still young (turned 23 after the season), and he could be a middle relief option in the majors relatively soon. One thing I like about him is the way he keeps the ball on the ground: just one homer allowed in those 61 innings. I think the team starts him in AA bullpen again looking for a 5 week promotion to AAA where he can hone his craft against more advanced/mature hitters. It wouldn’t surprise me to see him in AAA, but right now the team has so many MLB-experienced arms that won’t make the 25-man roster that there might not be enough room in Syracuse for Mendez. Outlook for Next season: AA bullpen to start. Abel de los Santos was a surprise callup in mid July, getting a premature add to the 40-man and a call-up so that he could throw to a handful of batters, then return back to AA. Perhaps not the best use of an option. Nonetheless, he was a 22yr old in AA holding his own (much like Mendez; in fact their birthday is just days apart in November). For the year in AA; 3.43 ERA in 57.2 innings, 1.13 ERA, 3.39 fip and 55/12 K/BB in those 57 innings as an 8th/9th inning guy (he had 8 saves in 11 opportunities). His numbers look similar to Mendez’s at first, but I think the team starts him in AAA since he’s on the 40-man, in order to get him some more experience against veteran hitters. Side note: that trade of Ross Detwiler looking pretty good now eh? de los Santos and new top10 prospect Chris Bostick for the OBE’d Detwiler, who didn’t last half the year before getting flat out released by Texas. Outlook for Next season: AAA bullpen. Paul Demny started the year in AAA, got demoted after 10 innings and spent the rest of the season in Harrisonburg. He had fantastic numbers in AA this year; 1.88 ERA, 60 Ks in 48 innings splitting time as the closer with de los Santos. But its also his EIGHTH minor league season in the system. He’s already declared as a MLFA and you have to think he’s looking elsewhere at this point, given the fact that half the RH relievers between AA and AAA got callups last year and he didn’t. Outlook for Next season: with another organization. Bryan Harper, forever to be known as Bryce’s older brother, had a pretty darn good season, posting a 3.02 ERA in 45 innings with decent peripherals (33/15 K/BB, 1.18 whip, held lefties to a .185 BAA). He earned a late-season call-up to AAA as well. He survived the Rule-5 draft but sits behind several other lefty relievers at this point, two of which are already slated for AAA (Grace and Solis). I could see him losing out on a numbers game and repeating AA in 2016, waiting for injuries to open up the log jam of lefty relievers in the organization. Outlook for Next season: AA bullpen. James Simmons signed out of Indy ball and stuck with the Nats farm system for parts of two seasons, serving as a rubber-armed utility guy between AA and AAA both this year and last. Oddly, he was hurling for AA, got called up to AAA to make one spot start in July … and then was released soon after. His numbers weren’t great in 2014 but were improved in 2015, but as a 29-yr old now out of affiliated ball, it may be the end of the road for him. Outlook for Next season: out of baseball. Erik Davis: returned from Tommy John surgery in 2014, got shelled in AAA and then was demoted to Harrisburg for the duration of the season. He was effective in AA (2.65 ERA in 34 ip) but you have to ask yourself; where does the team go with him? He’s now 29, still on the 40-man roster and doesn’t look like he made a full recovery in his first year back. Given that he was a marginal right-handed middle reliever to begin with, I wonder if he’s ever going to have an impact with this team. He still has a MLB option left (which he’ll use in 2016), but I have him as either option #1 or #2 to DFA if the team suddenly needs 40-man roster space. If he survives on the roster to 4/1/16, I can see him tried in AAA bullpen again. Outlook for Next season: AAA bullpen/release candidate. 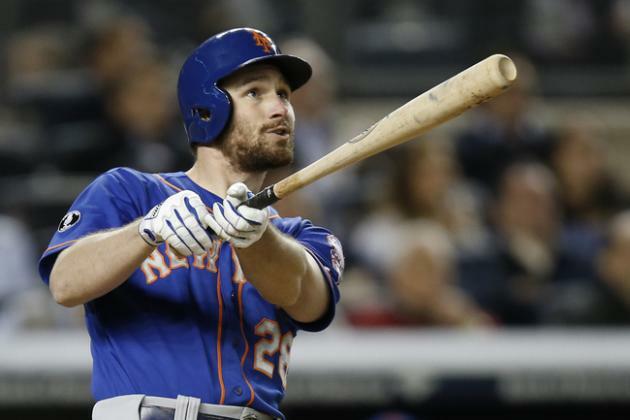 1/6/16 update: Davis was DFA’d on the 40-man to make room for Daniel Murphy: we’ll update in this space when his roster status is finalized. Nick Lee earned a mid-season promotion after closing effectively for Potomac and showed some organizational intrigue while in AA. While at Harrisburg he posted a 3.75 ERA with 29/19 K/BB in 24 innings. Lots of walks, but also lots of Ks especially for a lefty. On a whole, the team liked enough of what they saw to not only send him to the AFL but to also protect him on their 40-man roster. He seemingly slots in as a lefty specialist in 2016 but sits behind Solis and Grace. I think he starts in AA with an idea of moving up to AAA. Outlook for Next season: AA bullpen to start. Hector Ambriz was signed in May, then released in June after getting hammered in 10 outings across four weeks. He remains unsigned. Outlook for Next season: out of baseball. Wander Suero: Pitched the first half of the season in High-A: see High-A writeup for more. Sam Runion: split time between AA and AAA; see AAA write-up for more. Derek Self started in AA but was demoted to High-A, where he spent most of the year. See High-A writeup for more. Sammy Solis: 13.1 IP in AA in-between assignments to AAA and MLB. See MLB write-up for more. Brian Dupra was up and down between Potomac and Harrisburg; See High-A writeup for more. 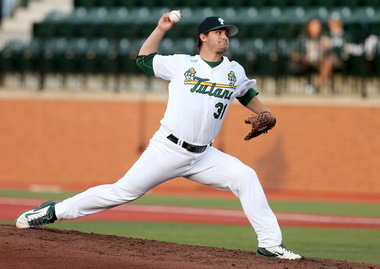 Robert Benincasa threw four innings in April and spent the rest of the season on the D/L. A lost season. Outlook for Next season: AA bullpen again. David Carpenter appeared briefly for Harrisburg on a rehab stint; see MLB write-up for more. 20 guys got starts for Harrisburg in 2015, though the rotation as it were really was dominated by one crew for the first half, one crew in the second half. A lot of the guys who featured for Harrisburg in 2015 seem like good bets to return for at least the start of 2016 thanks to the log-jam above them. At some point though we’ll start to see movement through the system; a good number of these guys in AA need to move up or move on. Papelbon, Storen, Treinen, Stammen, Rivero*, Solis* and Martin as a long-man I guess (Barrett to go to the 60 day D/L as soon as he’s eligible). And presumably there’s more work to be done (you have to think we’ll acquire a Proven Closer™ to replace the Papelbon/Storen combo). But, so far, not a bad week for Mr. Rizzo. Craig Stammen non-tender: discussed at length in the Non-tender deadline preview post comment section. I didn’t like it for reasons discussed ad naseum, but agree that the team must have decided the risk was too much. Oliver Perez signing 2yrs/$7M: good 2015 numbers in the NL with Arizona, then not so much in 12 innings with Houston. His LHP-LHB splits are good while righties hit him at an .881 OPS clip in 2015. I guess that’s as good of a Matt Thornton replacement as we need. Yusmeiro Petit signing 1yr/$2.5M after getting non-tendered by SF. An odd move by SF; his 2015 regular season numbers were just fine to me. An ERA+ over a 100, flexibility to go long or go short. And the Nats certainly remember getting shut down by him in the 2014 NLDS. A good move for me as a near like-for-like replacement for Stammen (with the exception that Petit can go longer than Stammen could so he could be the long-man as needed). Shawn Kelley for 3yrs/$15M (as reported); three straight years of fantastic swing and miss stuff (11-12 K/9 rates). Great option to add as an 8th inning guy/eventual setup role, eventually replacing what Casey Janssen never did. Trevor Gott in trade for Yunel Escobar: it seems like an underwhelming return for Escobar on the face of it. Escobar was our 2nd leading hitter last year and played multiple infield positions. But his batting average was pretty “empty” (he slugged .415) and his defense was abhorrent (not that he ever should have been playing 3B once Anthony Rendon came back … but that’s another gripe). I think what it does indicate is the rising cost of good relievers and the fact that Escobar has one year of control while Gott has just 114 days of service time and is thus controlled for at least *six* more seasons, three of which will be at the pittance MLB minimum. Gott’s numbers as a 22 yr old were pretty good; 125 ERA+, an ERA right around 3.00. Not a ton of swing and miss so far in the majors but he was a closer in the minors and seems like a good 6th/7th inning guy (in other words, a Barrett replacement for the time being). Find a for-real closer; its going to cost some serious stuff, based on the Craig Kimbrel and Ken Giles trades. Be ready for it. Sign some more veteran relievers for AAA like we always do. Do you like the configuration of this bullpen so far? Assuming we get a for-real closer and dump Storen and Papelbon, would you say that its an improvement over last year?